Survivors: Brothers: Mike Fields and Billy Gordon Fields; Sisters: Pat Berry, Sandra Gibson and Kathy Fields; A host of Nieces, Nephews, Family and Friends. 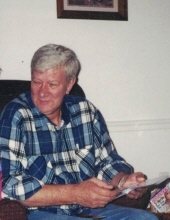 Deceased Relatives: Parents: Sesco and Colleen Amburgey Fields; Sister: Betty Speck. Time and Place of Services: Friday February 8, 2019 at 12 Noon at the Nelson Frazier Funeral Home Chapel in Hindman, Kentucky. Visitation: Friday February 8, 2019 from 10AM until 12Noom at the Nelson Frazier Funeral Home Chapel in Hindman, Kentucky. Burial: Vance Cemetery Pinetop, Kentucky. "Email Address" would like to share the life celebration of Randall Fields. Click on the "link" to go to share a favorite memory or leave a condolence message for the family.